Four-way tap connector for taps with 1" thread and 3/4" thread reducer. For using up to four hoses simultaneously. Four separate infinite flow control options. Robust brass internal thread. 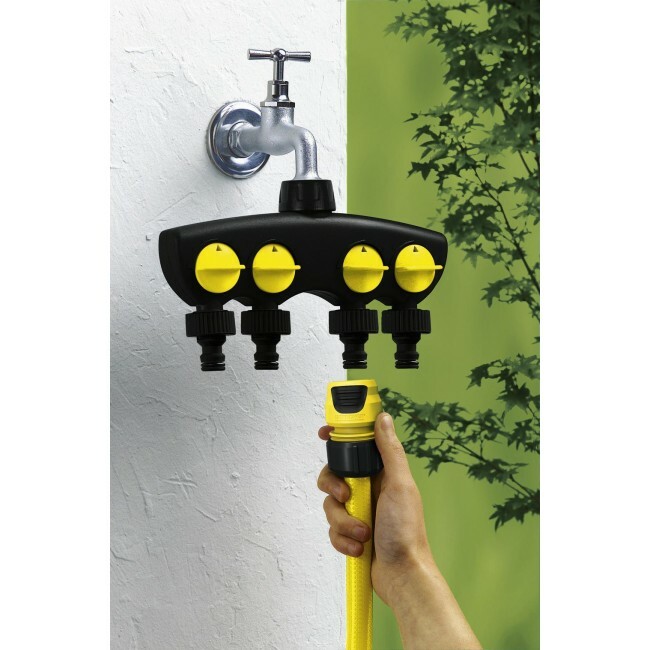 Reliable tap connectors, hose connectors and hoses are essential for an efficient watering system. 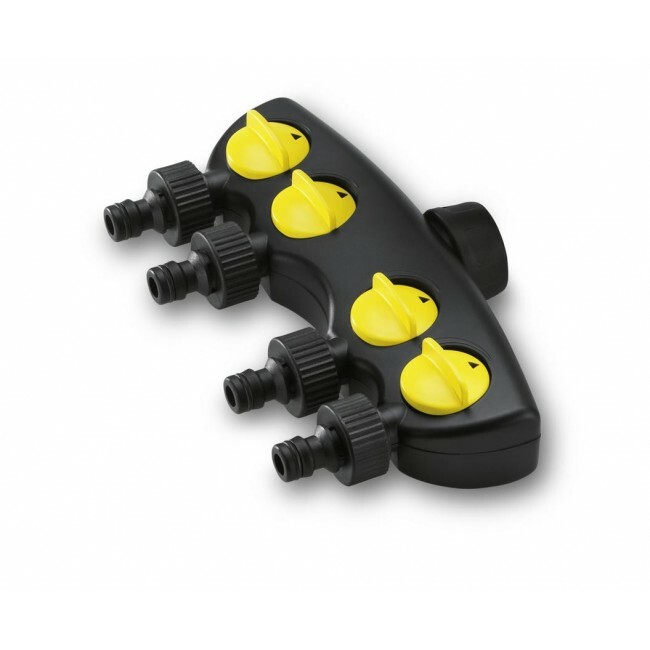 Kärcher offers a complete range of accessories for connecting, disconnecting and repairing watering systems. For example, the four-way tap connector for taps with 1" thread and 3/4" reducer. For using up to four hoses simultaneously. This high-quality universal connector with brass internal thread is suitable for all standard garden hoses and is ergonomically designed for easy handling. The robust brass internal thread with thread protection ensures easy connection. Tap connector compatible with the three most widely used hose diameters and all available click systems. For watering small to large areas and gardens.